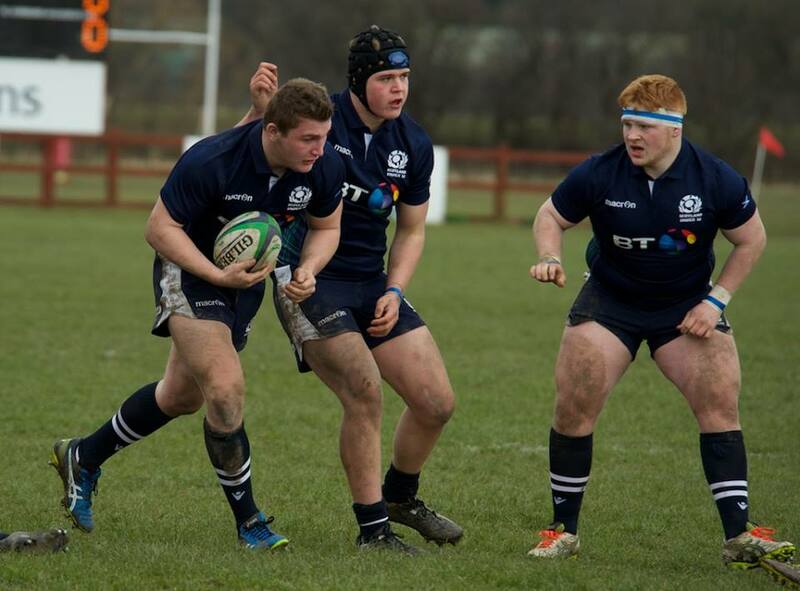 Ross started the match at loosehead in front of a packed Bridgehaugh. The England Under 18 side were big, with a 6 foot 9 lock and a 145kg prop. 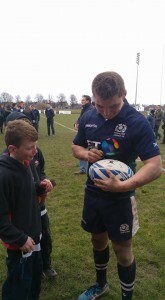 After a wee bit of nerves Scotland started well and Ross had some good carries and tackles. 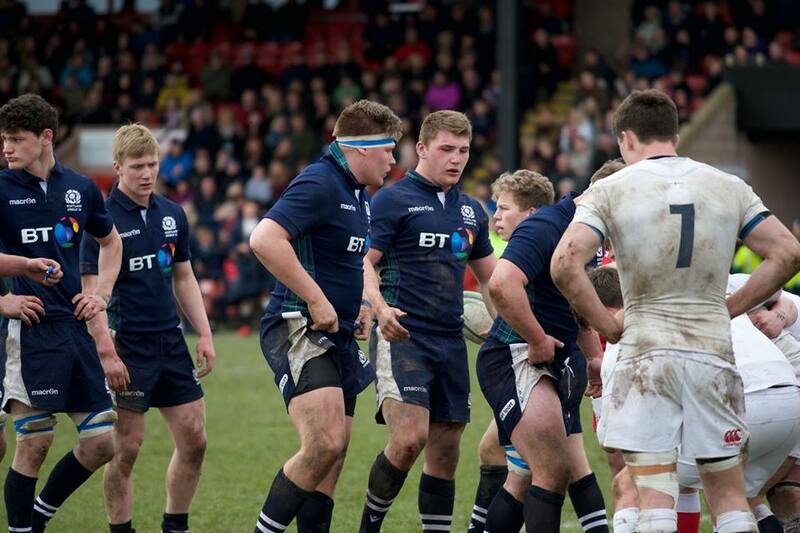 Scrums were tough as the England pack was much heavier, but Scotland eventually held their own. 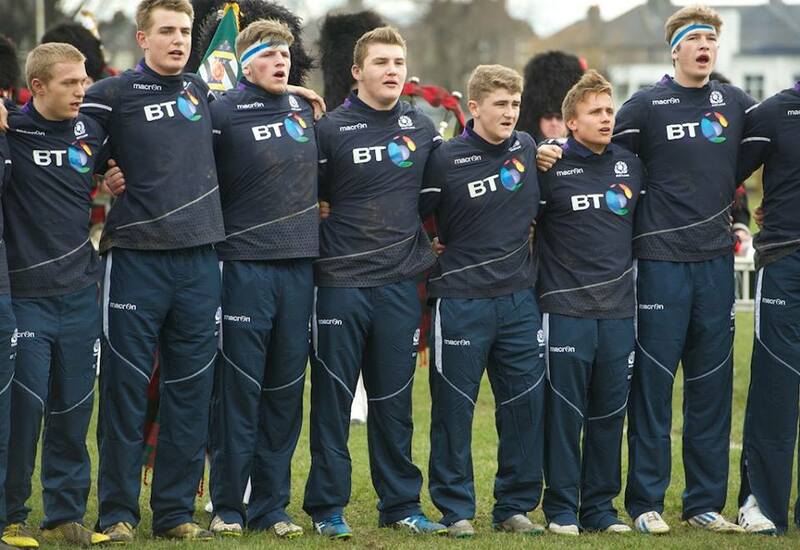 Scotland got the first try, then went down to a couple of soft tries, but played the best of the rugby throughout. There were some huge hits and the game was the fastest paced that Ross has played in. There were some sore bodies after that game! Ross now looks forward to selection for the Five Nations in Wales later this month. He even got asked for his autograph!